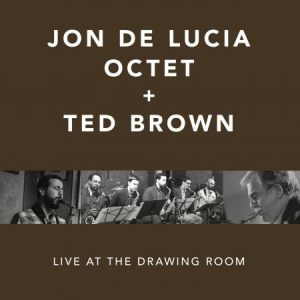 A live recording of the Jon De Lucia Five-Sax Octet featuring special guest tenor saxophonist Ted Brown. 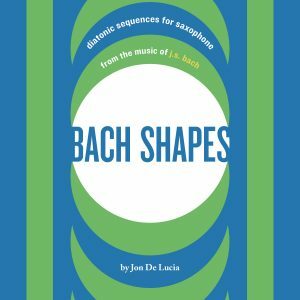 Thus the Jon De Lucia Octet was formed. A Five Saxophone and Rhythm lineup with unique arrangements by the great clarinetist/saxophonist Jimmy Giuffre. The original charts featured Lee Konitz on every track, and the first step in 2016 was to put a session together reuniting Brown and Konitz on these tunes. An open rehearsal was held at the City College of New York, Lee took the lead and played beautifully while Ted took over the late Warne Marsh’s part. This then lead to the concert you have here before you. 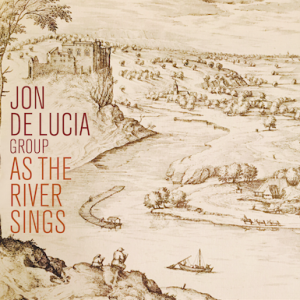 De Lucia steps into Lee’s shoes, while the features have been reworked to focus on Brown, including new arrangements of his tunes by De Lucia and daughter Anita Brown. The rest of the band includes a formidable set of young saxophonists, including John Ludlow, who incidentally was a protege of the late Hal McCusick, who also played on the original recording session of Lee Konitz meets Jimmy Giuffre, and plays the alto saxophone, now inherited, used in the session. Jay Rattman and Marc Schwartz round out the tenors, and Andrew Hadro, who can be heard to great effect on Venus De Milo, plays the baritone. In the rhythm section, Ray Gallon, one of NYC’s most swinging veterans on the piano, Aidan O’Donnell on the bass and the other legend in the room, the great Steve Little on the drums. Little was in Duke Ellington’s band in 1968, recording on the now classic Strayhorn tribute …and His Mother Called Him Bill, before going on to record all of the original Sesame Street music and much more as a studio musician. 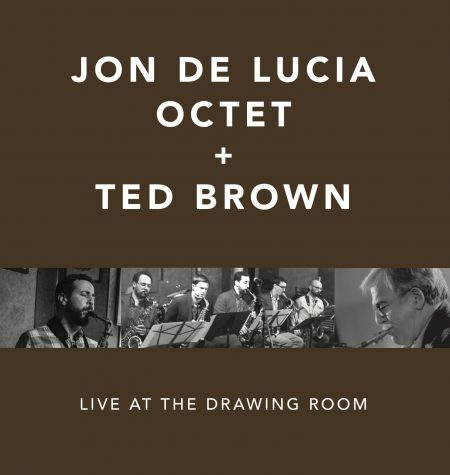 “This impassioned group swings…For this gig, the Octet had a great spiritual asset in the gently fervent playing of Ted Brown, a sage of melodic invention.